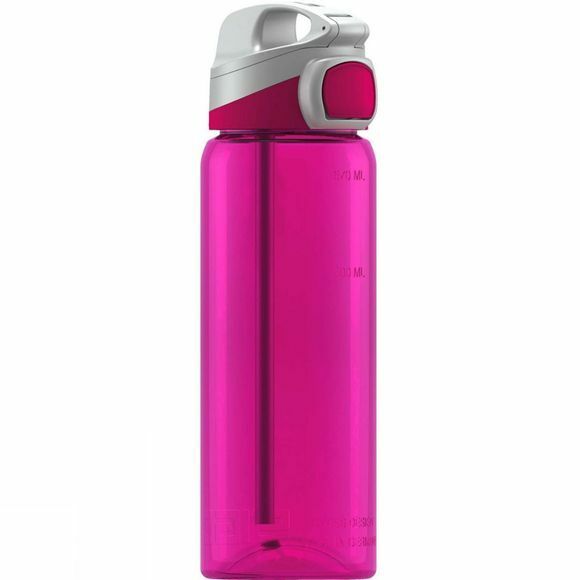 The Miracle Bottle 0.6L from Sigg is a high-quality, recyclable aluminum drinking bottle and is extremely easy to transport and is equally suited to both school and leisure activities. The material is free from harmful chemicals, such as estrogen-mimicking substances and phthalates – for safer drinking enjoyment. The new Miracle Top is leak-proof and can be closed with a hygienic lid. The new wide mouth opening makes the bottle easy to fill and clean.